I am super excited to be guest posting for Heather on one of my favorite mom blogs, Glitter and Gloss! 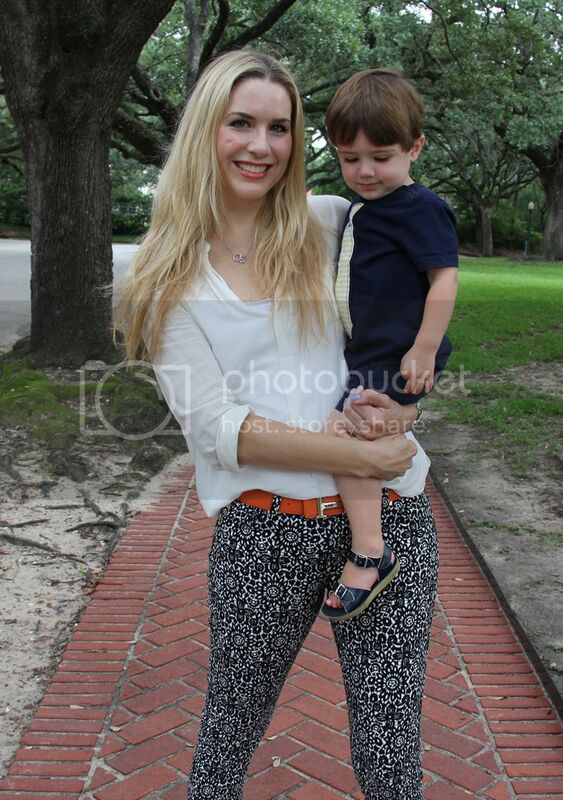 I’m Audrey, a fellow mom and creator of Spilled Milk Style, a blog for stylish moms despite all the spilled milk! Spilled Milk Style is a fashion, style and lifestyle inspiration blog for moms. Today I’m discussing 5 hot summer trends that any mom (or any Glitter and Gloss reader) may easily incorporate in their everyday style. Here’s a little secret, moms can be trendy! I know it’s hot outside and the last thing you want to do in the morning when your toddler is screaming “PANCAKES” in your face is plan a trendy outfit. So here are 5 summer trend items that can be easily incorporated in any daily wardrobe. The first is the neon trend. A pop of color will brighten any mom’s day! 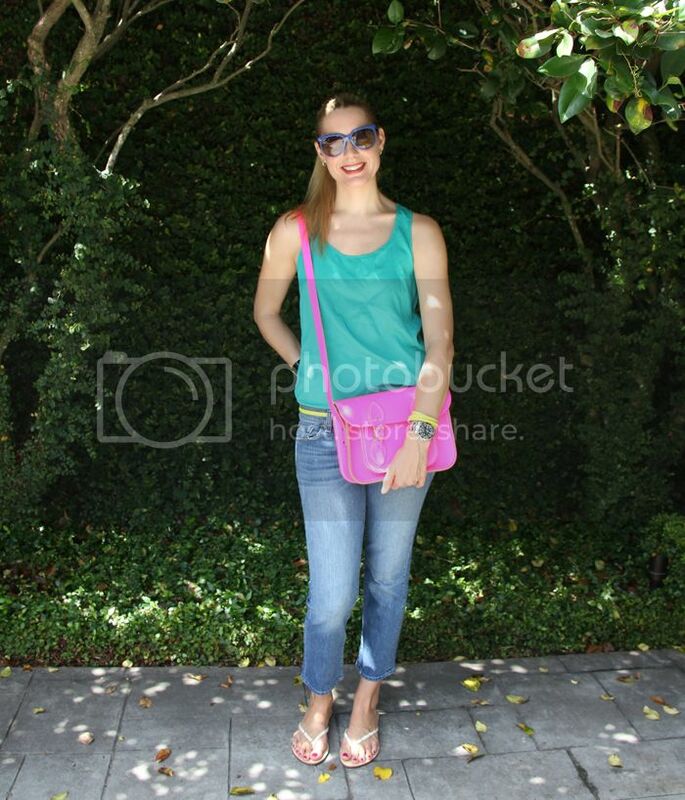 Pair an easy neon t-shirt (Gap or Target) with your favorite shorts or capris or add a skinny neon belt for instant on trend chic. 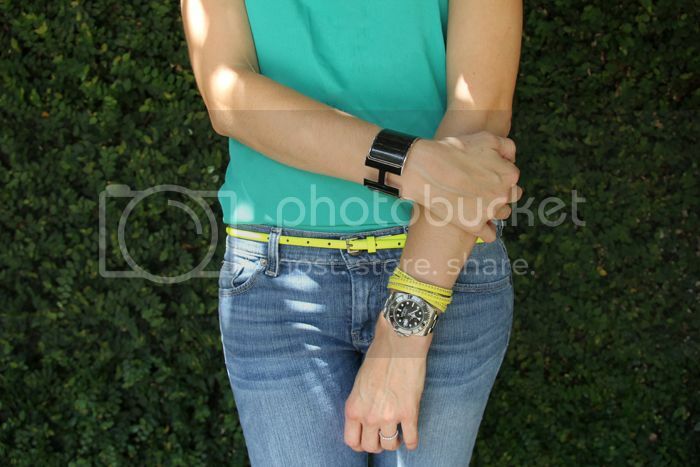 Here I am with a neon yellow belt from Target and a wrap bracelet from Free People. 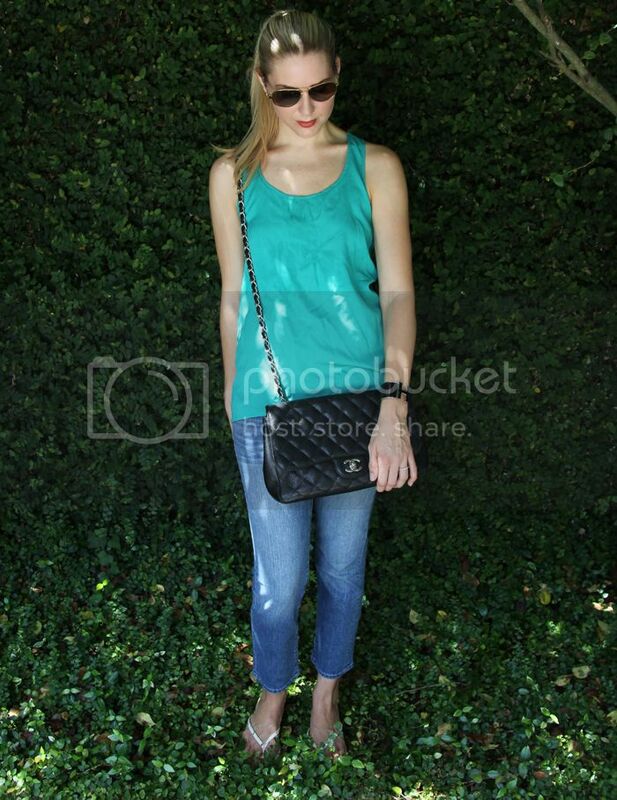 This is my Chanel Flap bag in the large size. I’ve had this for almost 4 years and never wore it this cross body way until I had Conrad. 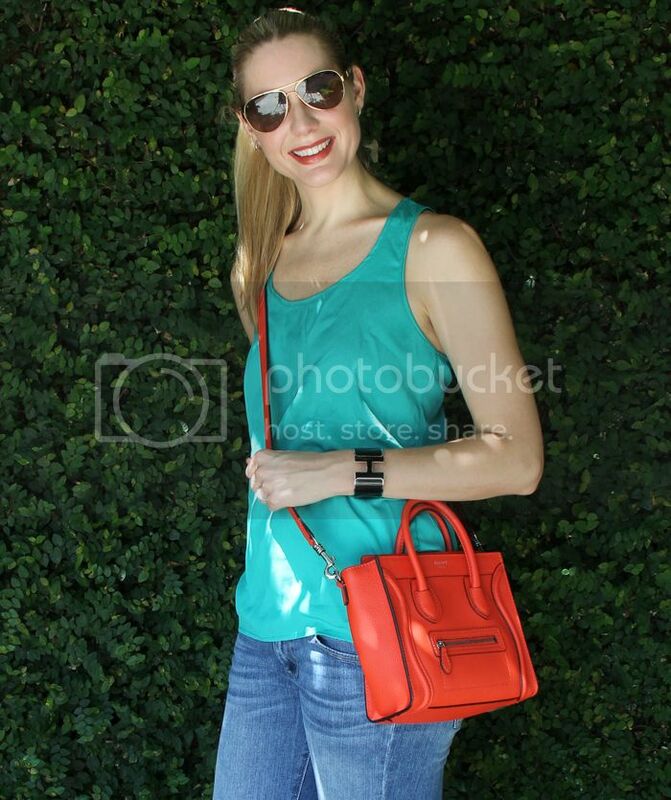 Here I am showing two trends in one with this neon cross body bag by Cambridge Satchel and Co.
And last is my latest investment bag, The Celine Nano Luggage in Vermillion. The last trend is fun nailpolish color. I know I don’t need to say much about this trend to Glitter and Gloss readers as you guys are experts! But for anyone hesitant I suggest to try a solid color first. I find blues actually work as a great neutral. Once you get your feet wet be bold and try for yellow, or bolder and try a great pattern like Heather rocks! Here’s Essie Turquoise and Caicos on my toes. And here’s Essie Lapiz of Luxury on my nails. This is my favorite colored neutral. Thanks so much to Heather for allowing me to be a guest on Glitter and Gloss. Hope you all enjoyed my top 5 mom style summer trends! I am enjoying the guest posts a lot !! love these looks! i need some loafers!! conrad is adorable! loving audrey's style! 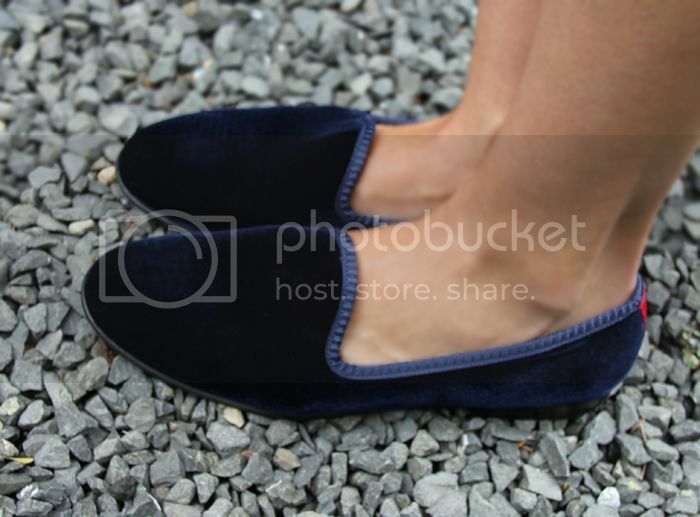 great style...I'm so into the "smoking slipper" for fall! perfect for teachers too lol.. you have a fantastic collection of bags & bracelets.. Thanks you guys and thanks again to Heather for allowing me to guest post! Those Del Toro slippers really are comfortable and chic! A blog for stylish moms despite all the spilled milk!